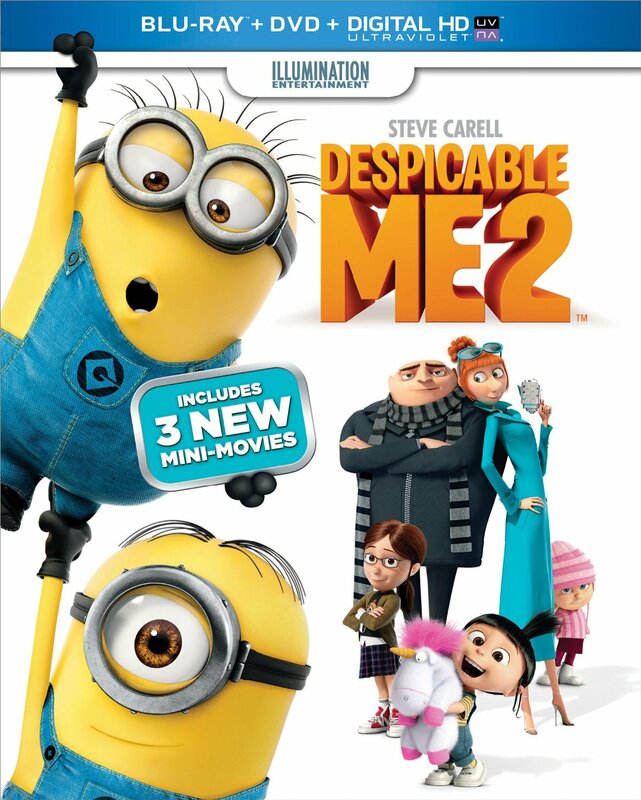 Despicable Me 2 is a decent follow-up to Despicable Me, it's enjoyable and funny, but for some reason I felt it was just not quite as good as the original. Gru is back with his three adorable adopted daughters Margo, Edith, and Agnes, but this time around he isn't his old super villain self. Instead, he's a happy father who, with help from his friend and partner Dr. Nefario and his army of little minions, is now trying to create a legitimate business making jams and jellies. When a laboratory in the arctic is stolen, the Anti-Villain League (AVL) tries to recruit Gru to help find out who stole it. He declines, but eventually teams up AVL agent Lucy Wilde to help recover some powerful toxic goo that was in the lab which mutates whomever it touches into a vicious monstrous creature. They track the goo to a mall, so the two go undercover as bakery shop owners in the mall while they try uncover who stole the goo. As the two explore the other stores (and store owners) in the mall, they also start to form a bond and their partnership begins to move into friendship territory, and beyond. Meanwhile, Gru's oldest daughter Margo is at that age where she's discovered boys, and it's not long before she begins dating Antonio, teenage son of Eduardo, AKA presumed dead super-villain El Macho's. Gru isn't too happy about that and insists that El Macho must be the guy their after, despite overwhelming evidence pointing elsewhere. It was nice to see the relationships of both Gru and Lucy and Margo and Antonio and how they played out. And of course it was great to see all the minions again as they're always hilarious even without the ability to speak English. They seemed to take on a much bigger role in this movie and even got three of their own mini-movies as an extra feature in this release. In Puppy, one of the Minions sees a bunch of people walking their dogs outside and wants to do the same, but Gru's dog isn't up for it, so he attempts to leash a ladybug, which just made me laugh out loud. Eventually he gets a pet spaceship and takes it for a walk, teaches it in puppy school... yeah, these are funny. Aside from the 3 mini-movies, there's also a ton of extra features, including a full length commentary from the director's, a deleted scene, and some behind the scenes featurettes. This release comes with a blu-ray, a DVD, and a digital copy that you can download and watch on whatever portable devices you have, so I'd say it's a pretty good value. No, I didn't think the movie was quite as good as the original, but it was still very enjoyable and this release gives you a lot more.